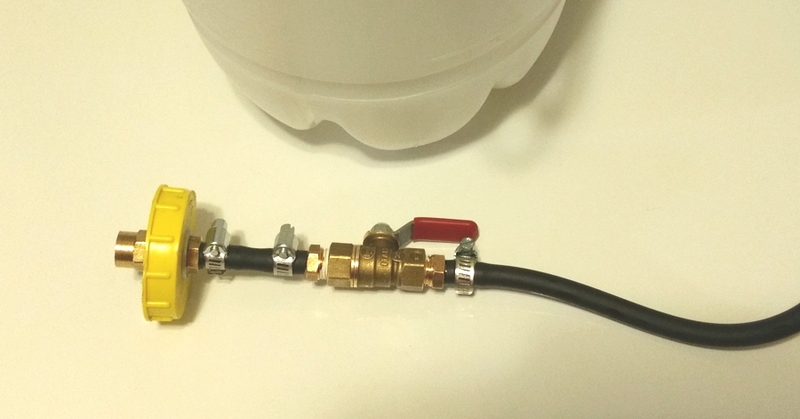 I want to share some pictures of a homemade pressurized brake fluid dispenser that reduces the time it takes me to change fluid. Since I have five cars on the road, this tool really comes in handy to stay on top of brake fluid changes. 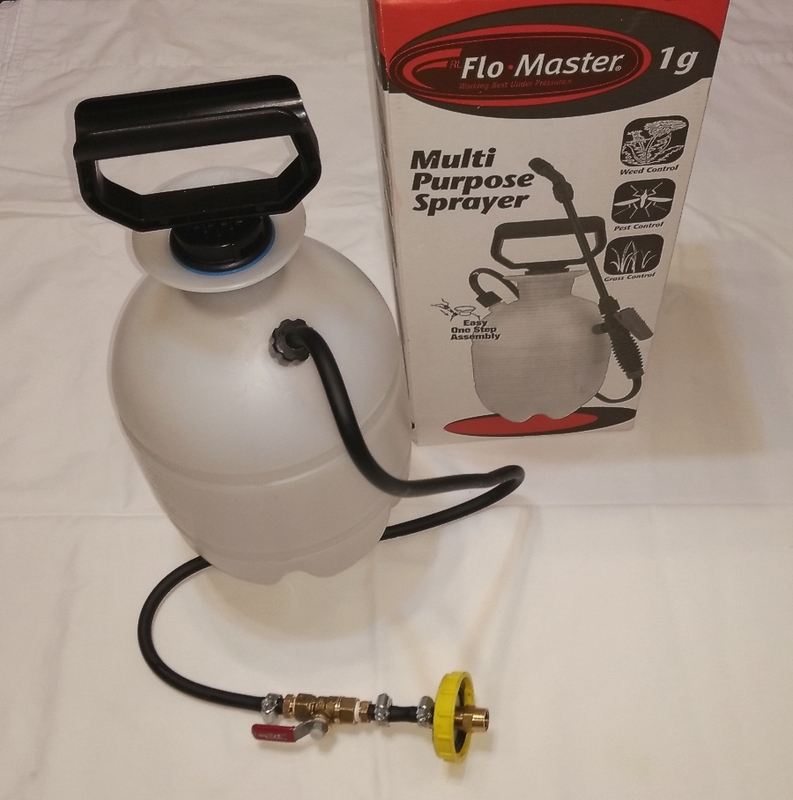 The multi-purpose sprayer in the picture was recently on sale at Wal*Mart for $5. Then I used an old Nissan brake fluid reservoir cap with a 1/4" to 1/4" barbed end adapter and a 1/4" to 1/4" NPT pipe coupling. I already had the ball valve and a barbed end coupling from another project. So I didn't need to purchase additional hardware for the shut off valve. For discussion purposes, the brass parts or equivalent can be purchased from Harbor Freight or Lowes in the $15 to $20 range. This type of pressurized brake bleeding pumps are available from various internet sellers in the $40 to $55 price range. So this really is nothing new. It all started with the "need to bleed" brakes after the 99 SE's conversion to run G35 front brakes. 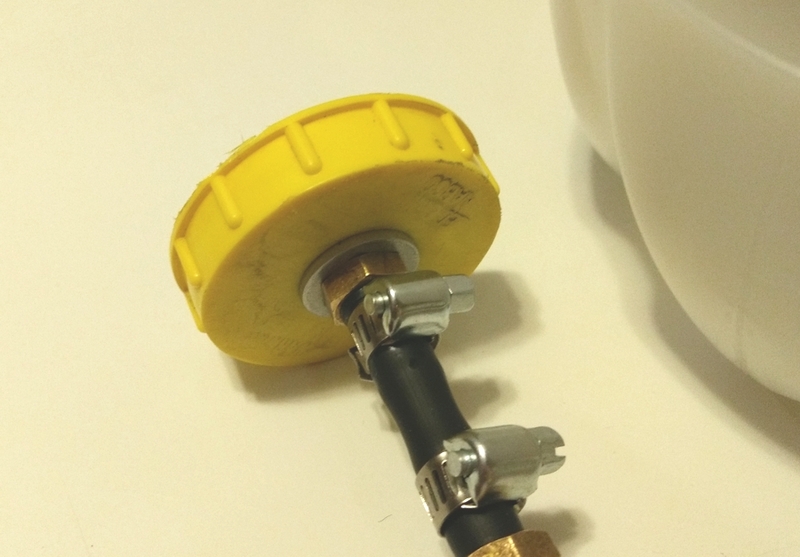 One item that seems this unit make this unique is shut off valve that is close to the cap. I learned the hard way that even though you release pressure on the tank, the remaining fluid in the line will continue to run out of the line and overfill the reservoir or drop into the engine compartment. I may add a pressure gauge at some point in the future. But for a tool that I will possibly use 3 or 4 times a year, it seems to work fine. Here are some pictures that explain how it works. 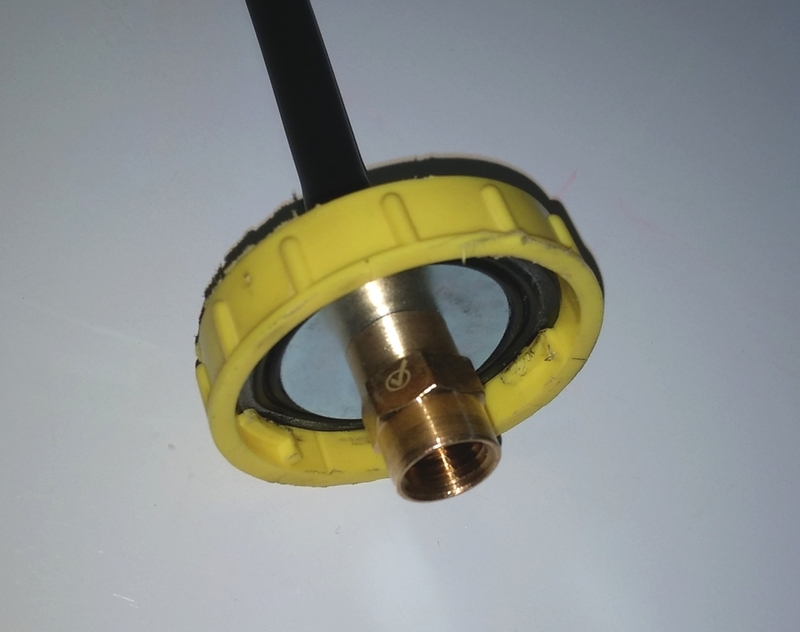 Since the 1/4" hose barb coupling uses NPT thread, I found a NPT thread coupling to used instead of a nut to tighten down the washer inside the cap. 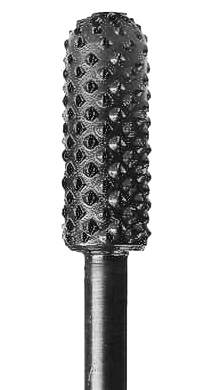 I used an electric drill with this wood rasp from Harbor Freight to smooth down the three cap tips. Here's a picture of cap while I was smoothing out the three vent tips from the picture above after using the wood rasp. 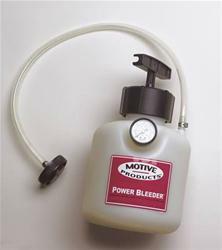 If you're not interested in building your own pressurized brake bleeding system, this product can be purchased for approximately $40 to $55. Pictures of the parts from Ace Hardware. Kent Bergsma makes some good points for using this method for changing brake fluid on older cars in the following video. Last edited by CS_AR; 04-01-2017 at 08:02 PM. 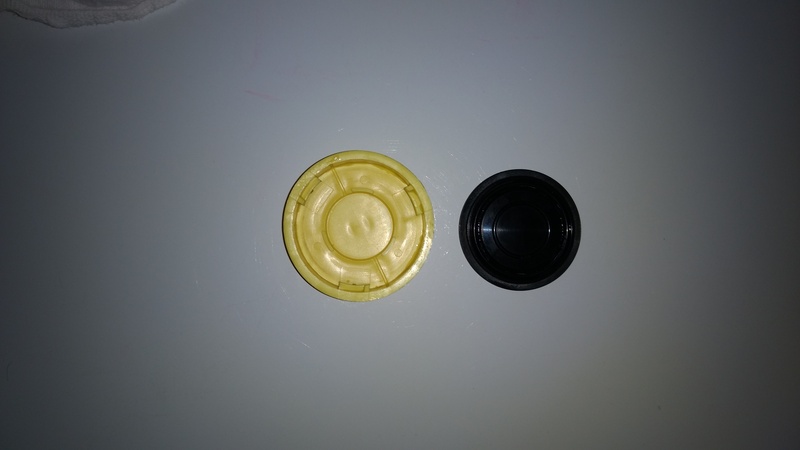 I had tried making a similar device several years ago, but could never get it to seal correctly as I didn't grind down the vent tips on my spare cap as you did. $5 20-foot 3/8" clear plastic tubing @HomeDepot. Run tube over car roof and down into an oil bucket. no jack, no wheel removed.